Before the dawn of the computer age scientists who wished to record the amount of sunshine in any given place had to be inventive. 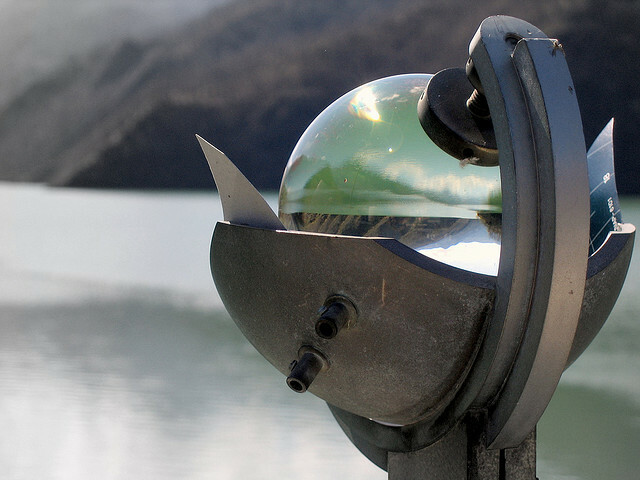 A variety of sunshine recorders were invented, with the Campbell-Stokes Recorder quickly becoming the most popular. In fact many are still in use to this day. It looks to modern eyes like a prop from the set of the latest Harry Potter film. 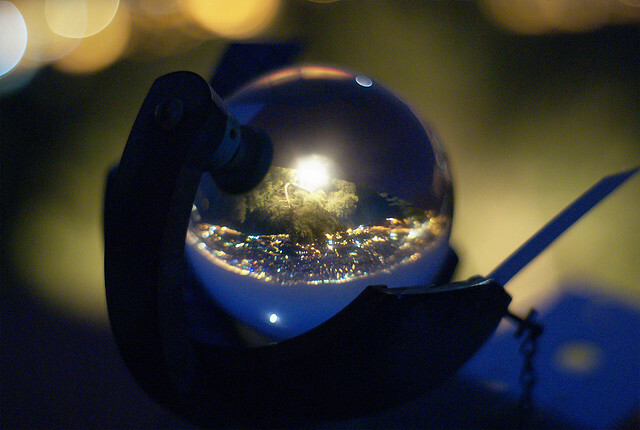 It is quite easy to imagine Albus Dumbledore fussing around the crystal ball at the center of the contraption. However, its roots are very much of this world – albeit the Victorian one. It was invented in 1853 by the Scottish Gaelic scholar Iain Òg Ìle, known in English as John Francis Campell. Perhaps unsurprisingly he was also the Secretary to the Lighthouse Commission at the time. 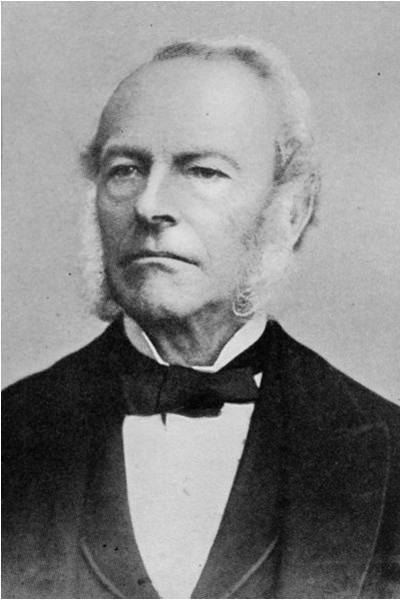 It was adapted and improved in 1879 by Sir George Gabriel Stokes (pictured above) a Cambridge University based physicist and mathematician known for his work in fluid dynamics, mathematical physics and, importantly, optics. As president of the Royal Society and Commission he also investigated the causes of railway disasters during that period. Campbell’s idea was straightforward but brilliant. 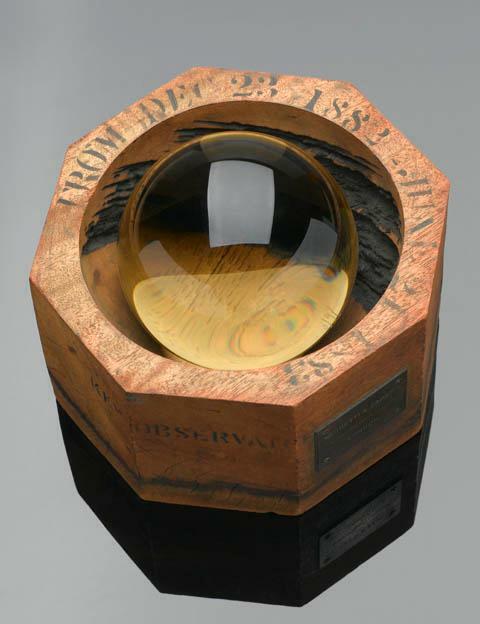 A glass sphere would be placed in to a wooden bowl. 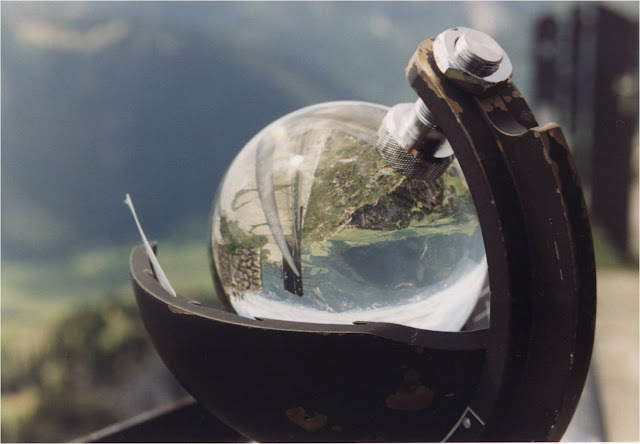 The sun would burn a trace on the bowl as it the earth circled it - the above is a picture of the original now housed at the Science Museum in London. 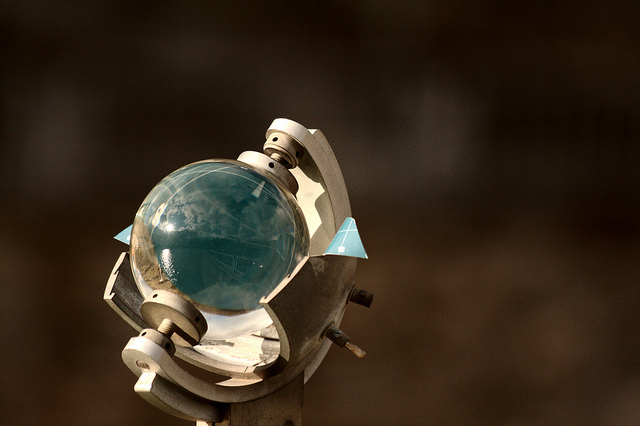 It worked and would measure the amount of sunshine in a single day with some accuracy. The downside, obviously, was the number of bowls which would have to be used to collect a significant amount of data – a year’s worth for example. The genius of simplicity was evolved further. Stokes went on to refine the design. 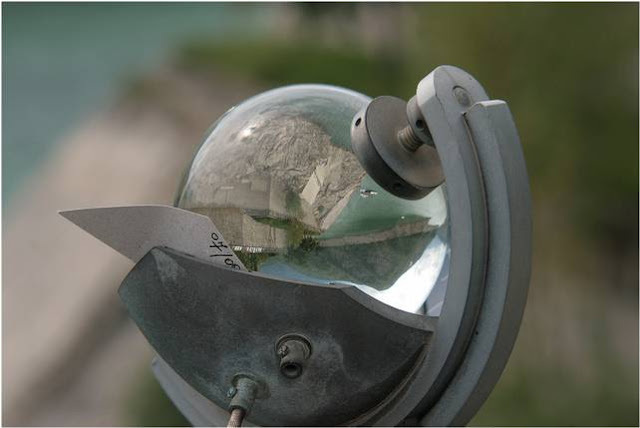 Instead of having the sphere within a bowl he created metal housing which kept the sphere rigid. 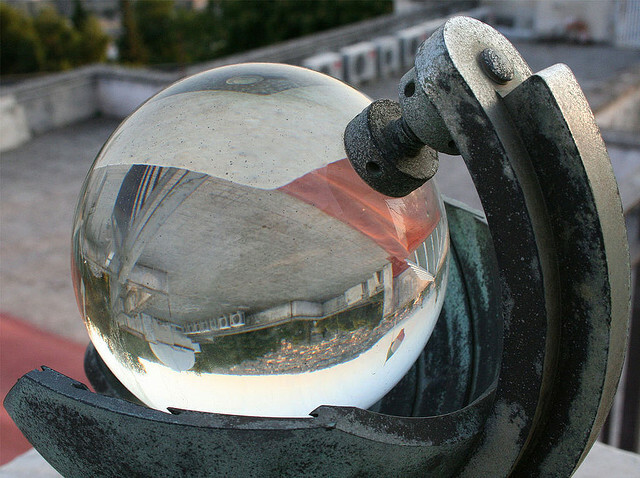 There were now two main parts – the glass sphere and a rounded metal plate placed behind the sphere. 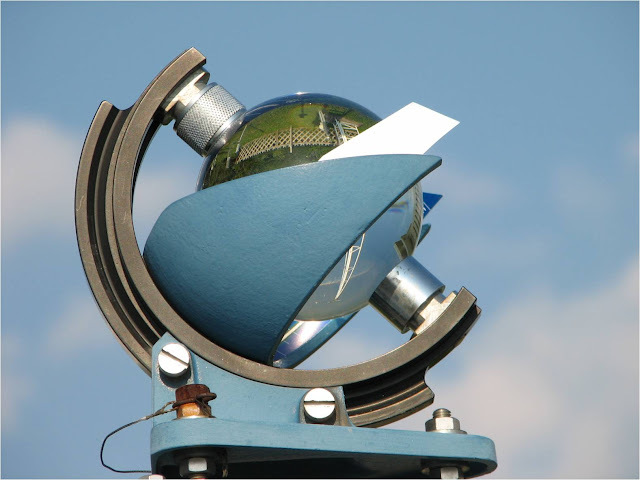 A piece of calibrated heat-sensitive recording paper is then fixed to the curved holder behind the globe. 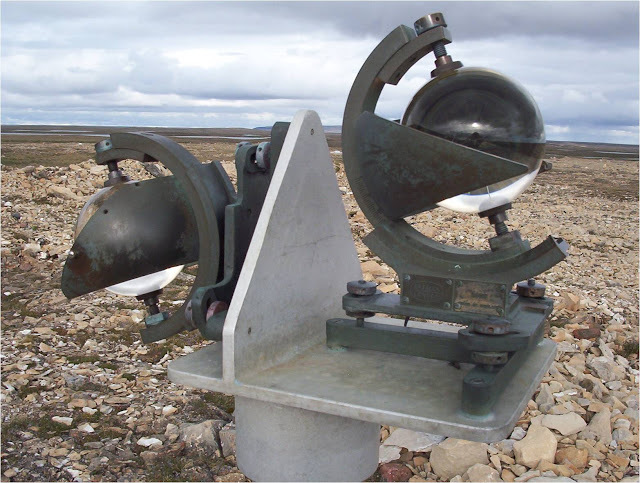 The upgrade (as it were) was hugely successful and the Campbell-Stokes Recorder is probably still globally the most used sunshine measuring instrument (or heliograph). You have probably figured out how it works. 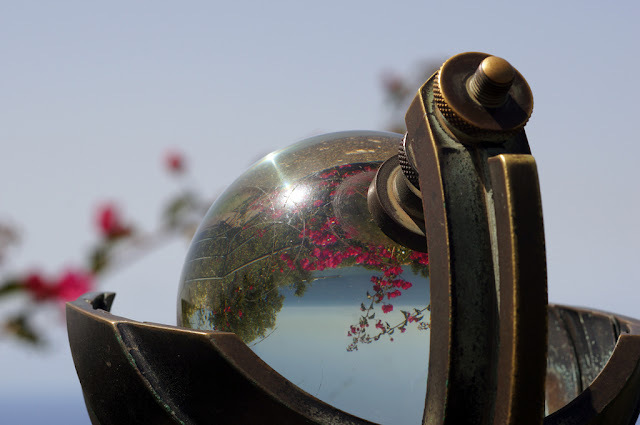 The hours of bright sunshine are recorded by the rays of the sun passing through the sphere, which undergo focus and burn a hole through the card placed behind it. The card itself is calibrated so that the hours and minutes of the day are measured across it. At dawn and dusk, however, the sun will usually leave a scorch mark rather than a burn and so the readings at those times of day are somewhat difficult to read at times. If the sun shone all day there will be an unbroken line across the recording pane. If there are sunny phases followed by cloudy then there would be a series of tiny dots and short lines showing when the sun was shining and nothing when the sun was hidden. The person recording the length of sunshine in a single day would simply add up the length of the burn marks to measure the sunshine. 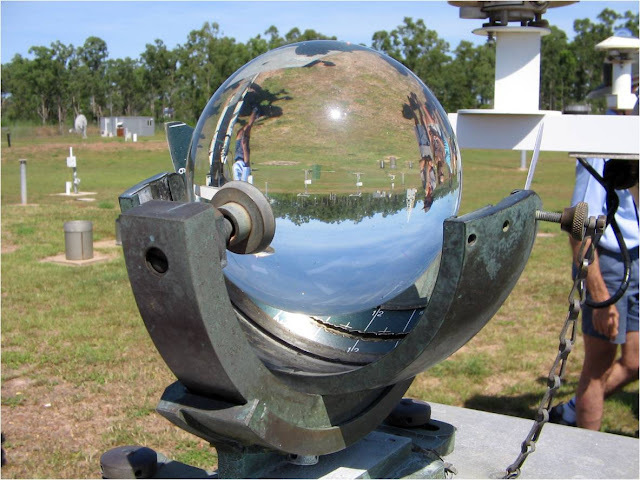 The Campbell–Stokes Recorder comes in a variety of sizes, some quite large, but is typically around 4 inches in diameter. 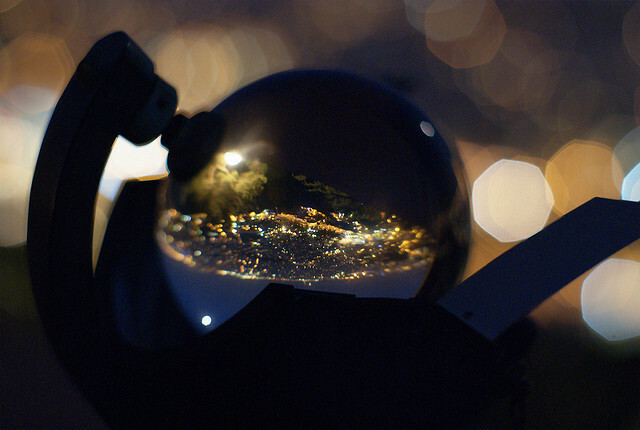 As the sun moves throughout the season the sphere stays where it is. 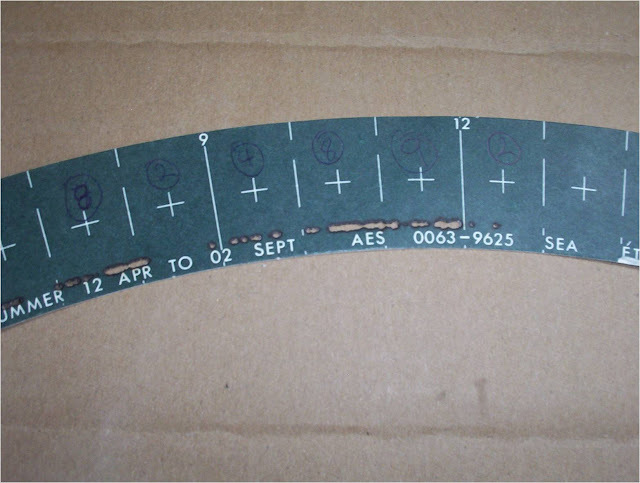 Instead, the placement of the cards is changed – there are three overlapping sets of grooves to allow this adjustment. Noon is placed at the center of each card and it is usually read in tenths. 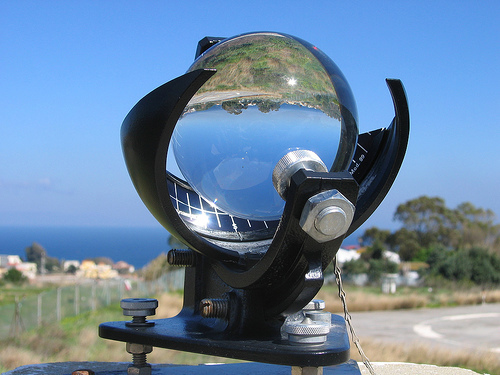 The whole set of equipment must face south so that the maximum amount of sunlight may be recorded (north in the southern hemisphere). It must be out of the range of shadow from buildings or foliage as, self evidently, a shadow falling across the sphere would negate the results. A further modification has been in place since the exploration of the Polar Regions began. 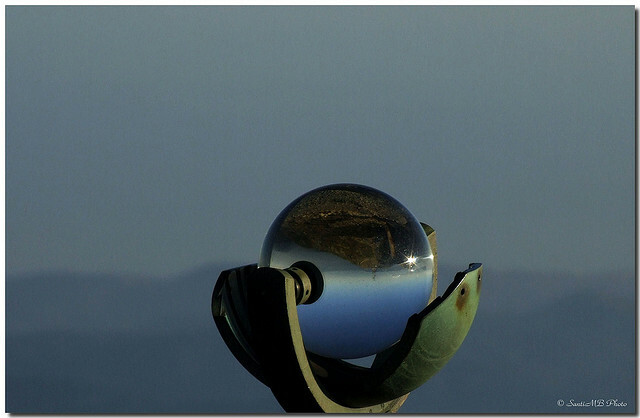 Here, instead of one sphere there are two. A second, facing north, takes in to account the fact that the sun will remain in the sky for twenty four hours a day. The greatest advantage of the Campbell-Stokes Recorder is that it is incredibly easy to use. Much like a simple fire extinguisher a young child properly instructed would be able to operate one of these marvellous contraptions. Plus it is a truly global device – it can be used anywhere in the world. Relatively inexpensive it also has another major advantage – no moving parts whatsoever. It is one of the most low maintenance pieces of scientific equipment you could hope to come across. There are, however, inevitably downsides. We have already mentioned the issue at dawn and dusk. This means that the recorder is only able to measure bright rather than visible sunshine. A little aqueous precipitation and the card can become bent out of shape, making it difficult to take the day’s reading later on. 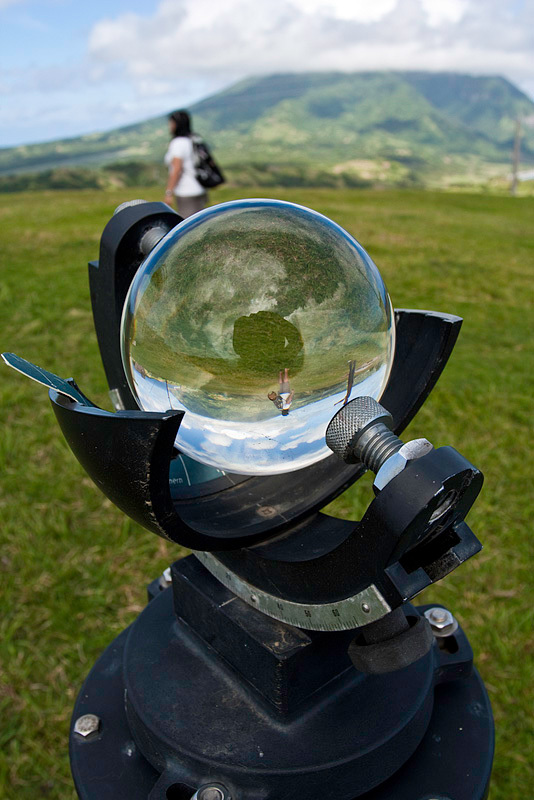 The sphere also has to be cleaned and when this is forgotten the readings will inevitably be wrong. Finally there are those pesky things in the sky – clouds. 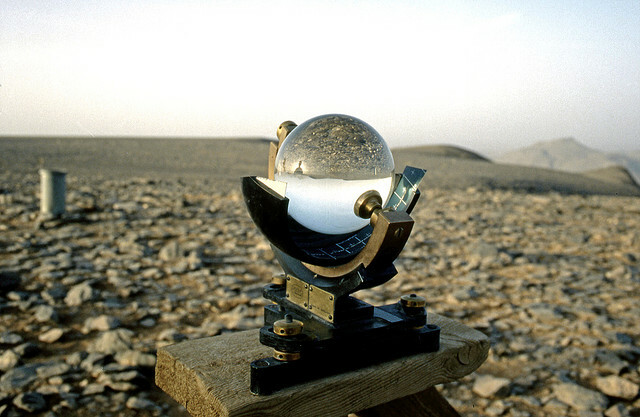 However, the Campbell-Stokes Recorder remains in use throughout the world. As well as still displaying the brilliance of its creators it is, in itself, a thing of beauty. And yes, before you ask – you can still buy them, for around US $2,000.